It’s Ireland, music is everywhere and I’m thrilled and grateful to be here and play my little humble part in this. 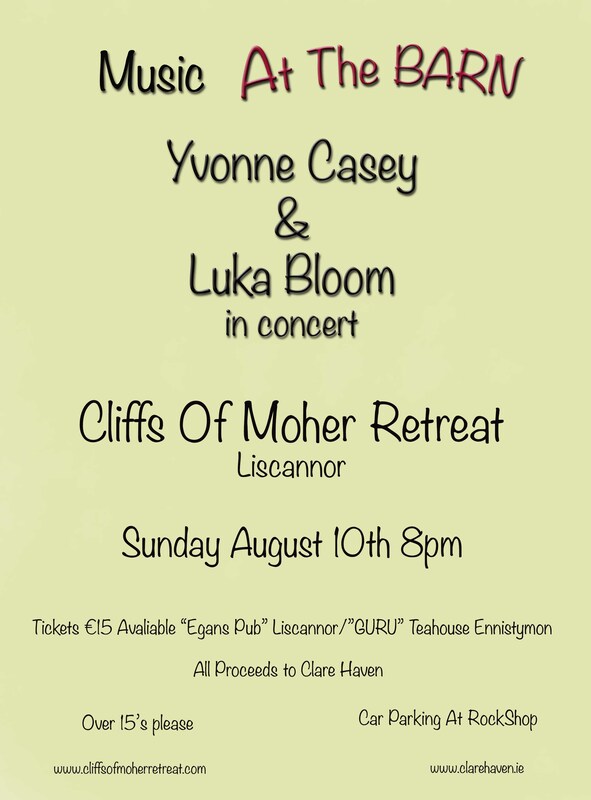 Ticket sale will proceed to a good cause: Clare Haven Who provides support, information and refuge accommodation to women and their children experiencing Domestic Violence/Abuse. It’s always something special when the two of them are playing together. Yvonne is a magical fiddler, her tunes really touches me and so does Luka’s songs, and together they just bring in something unique. Thanks for visiting as always Leslie!